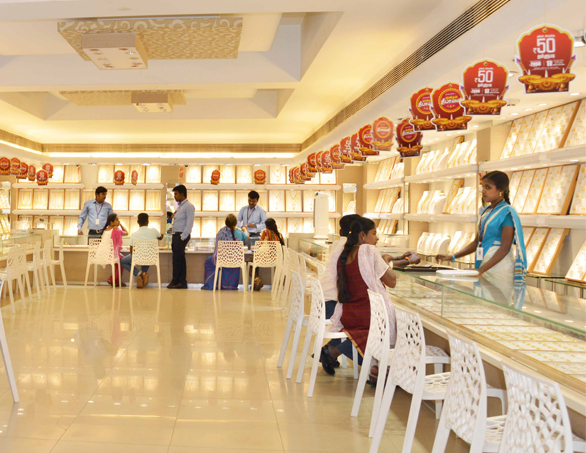 Thangamayil Jewellers set up our 32’nd showroom at Thirupuvanam, a panchayat town in Sivaganga district of Tamil Nadu. It is situated on the southern banks of river Vaigai(Madurai-Rameswaram National Highway) and is 18 km to the east of Madurai. Thiruppuvanam is well connected to Sivagangai, Madurai, Rameshwaram, Manamadurai, Kamudhi, Coimbatore, Tiruppur and Salem. 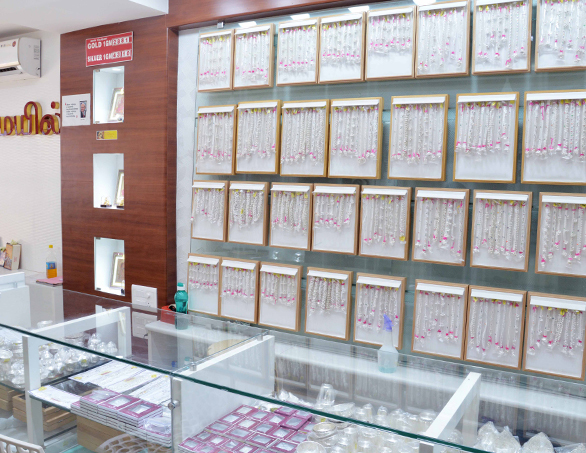 The store is exclusively meant for sale of Silver articles. 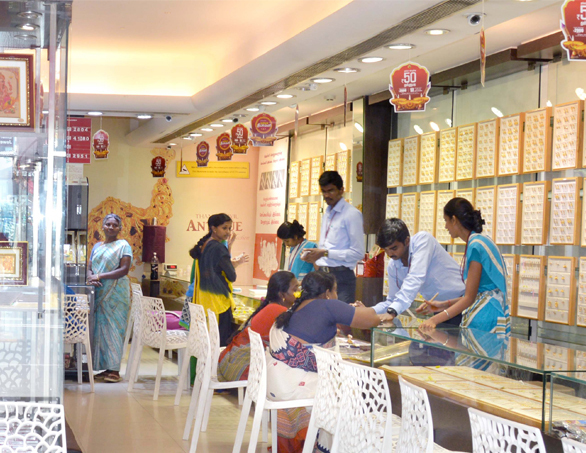 Saving schemes can be opened at this store. This entry was posted in Stores on December 18, 2017 by admin. 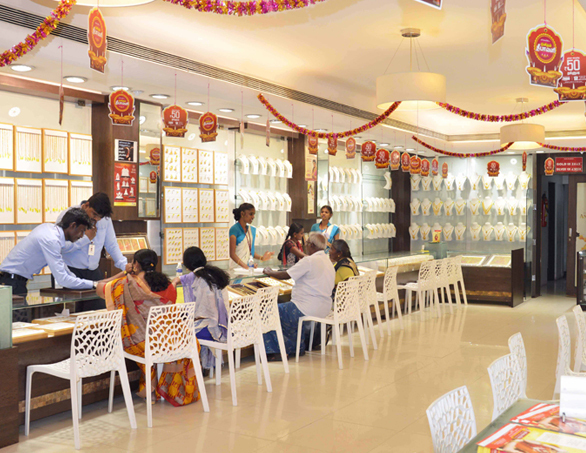 The Grand Inauguration of our 31st Showroom was Cheered, Greeted and Supported by the people of Virudhunagar. Honr. VVS.Yogan, Director of IcanD-a rapidly growing IT company, opened the showroom. Virudhunagar is a major business town and it is the capital of Virudhunagar District located at a distance of 45 Kms South-West of Madurai. This place was once referred to as 'Virudhupatti'. In the beginning of 20th century A.D. Due to the rapid growth in the field of trade and education, it was renamed as 'Virudhunagar' on 29th October 1923. This entry was posted in Stores on January 31, 2013 by admin. A great cheer went up as Honr. V.V. Guberan Chettiar unveiled our 30th Showroom at Villupuram. Mrs. Dr.N.Shakthi priya Natarajan, Mrs. R.Jeyasudha, Mrs. G.Janani & Mrs. Vasanthi Velmurugan lit the KuthuVilakku in the opening ceremony and Mr. V.V.C. 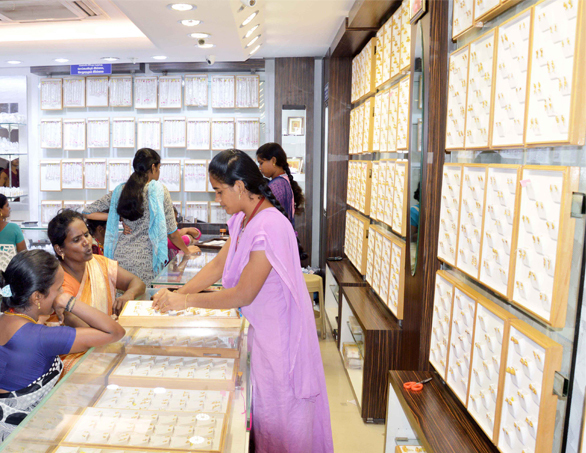 Velmurugan kickstarted the sale. Villuppuram is situated on the southern tip of Tamil Nadu. Villupuram district came into existence on 30 September 1993 when it was created out of South Arcot district. Villupuram is the largest district in the state. This entry was posted in Stores on January 30, 2013 by admin. 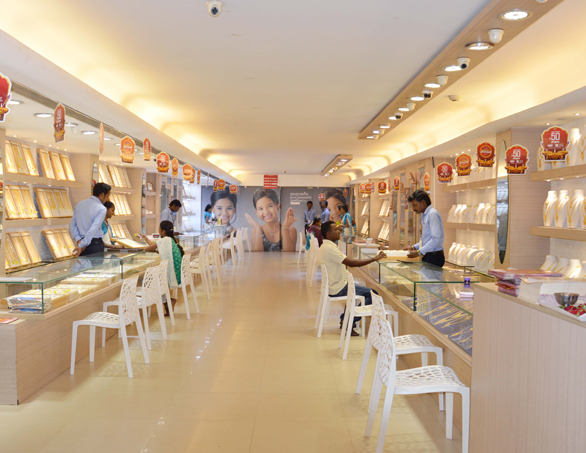 We set up our 29th showroom at Eral town in the Tuticorin district. Thamirabarani River flows in the southern periphery of the town. Honr. 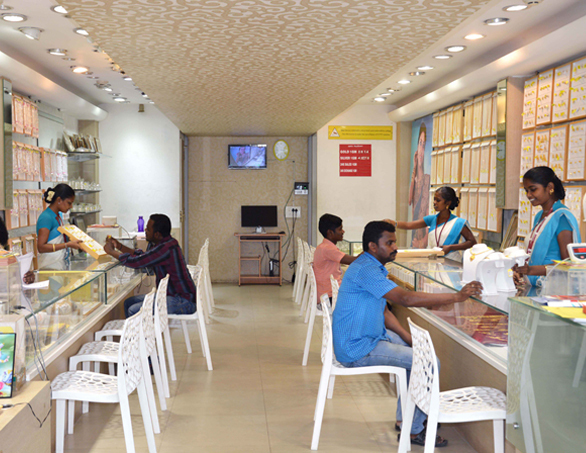 A.R.K.A.Karuthapandiya Nadar kicked off the operations by opening the showroom in the midst of the support of people of Eral. Eral is a town in the Tuticorin district in the state of Tamil Nadu and is bounded by the Thamirabarani River in the south. Devi NattarAmman Temple, Sowkkai muthaara amman Temple, Muthumalai Amman temple, sivan temple are the few famous temples located in and around Eral. This entry was posted in Stores on January 29, 2013 by admin. We’re glad to announce the inauguration of our 29th showroom in Sankarankovil which derives its name from well renowned “Sankara Narayanan temple”. The temple was constructed first and then the town was built around it. The legend associated with the temple is antique and The Puthu Maan in the temple is considered sacred and believed to cure many diseases. It is situated at Tirunelveli District and 56 km away from Thirunelveli City. Sankarankovil is the second largest town in the district. This entry was posted in Stores on January 28, 2013 by admin. 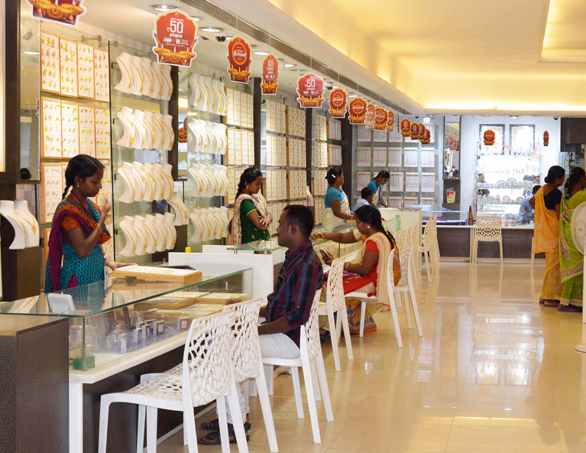 Thangamayil Jewellery is delighted to launch its 27th store at Gopichettipalayam(also known as Gobi) on 15th April 2013. Gobichettipalayam is the second largest city of Erode district. Gobichettipalayam is the second largest city and urban agglomeration in Erode district. Agriculture and textile industries contribute majorly to the economy of the city. This entry was posted in Stores on January 27, 2013 by admin. We've spruced up and unveiled our renovated Sivagangai showroom on 02nd April, 2017 after stepping foot on Sivagangai on 07th April'2013!!! 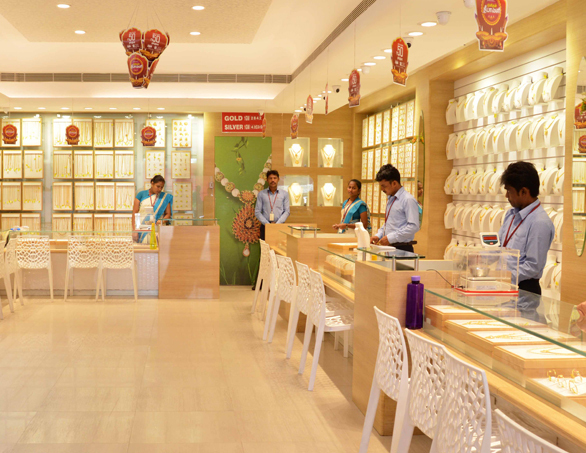 The opening of our 26th Showroom was graced by the people of Sivagangai. Thirukkoshtiyur divyadesham temple in Sivagangai is famous for its Ashtanga Vimana, which is a rare architectural feature. Only three of 108 divyadesham temples feature this vimana. Other renowned temples in the district are Pillayarpatti Karpaga Vinayagar temple, Ariyakkudi Perumal temple, Kundrakkudi Murugan temple, Pattamangalam Guru Bhagavan temple etc. This entry was posted in Stores on January 26, 2013 by admin. 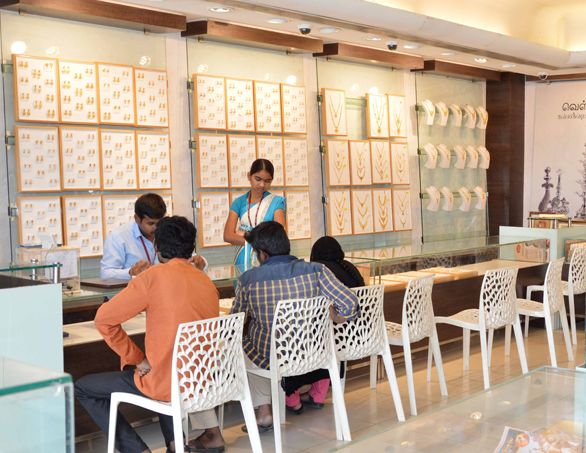 Our Tiruppur showroom, opened on Feb. 2013, was spruced up with improved infrastructure, enhanced facilities and services and has been relaunched on Feb. 25, 2018. It is our 25th showroom. The Tiruppur banian industry, the cotton market,kangeyam bull and the famous uthukklui butter chip in for a bright economy. he district has a positional advantage of being situated on the western part of Tamil Nadu bordering the western ghats and hence enjoys a moderate climate. The district is surrounded by Coimbatore district in the west. This entry was posted in Stores on January 25, 2013 by admin. This entry was posted in Stores on January 24, 2013 by admin. We relaunched our 23rd branch @ Kovilpatti on 18th February 2018, which had been operational since its inauguration on 12th December'2012. Kovilpatti is the second largest town in Thoothukudi district. Kovilpatti is one of the industrial cities in Tamil Nadu. Kovilpatti is the gateway for entrants to Tirunelveli and Chidambaranar districts from north and west. The introduction of Southern Railway, the establishment of Loyal Textiles (1891), establishment of Government of Headquarters Offices (1911), etc., induced the physical growth of the Town. This entry was posted in Stores on January 23, 2013 by admin.